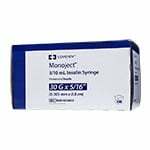 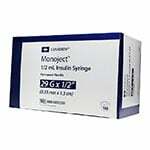 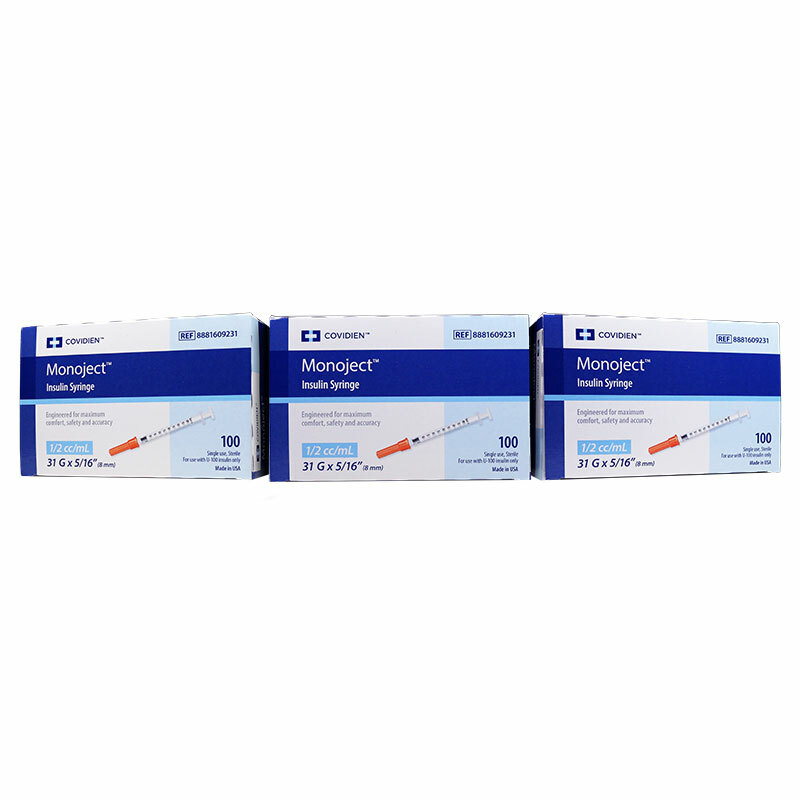 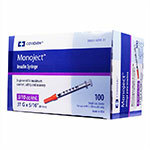 Monoject U-100 Syringes 31G 0.5cc 8mm Pack of 3 Boxes. 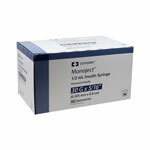 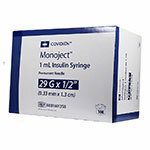 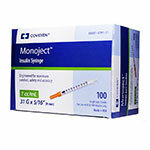 Monoject syringe provides you with unparalleled comfort, accuracy and ease. 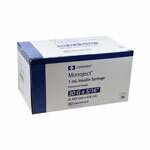 Each box comes with 100 single use syringes. The Monoject Ultra Comfort U-100 31 Gauge Insulin Syringe 1/2cc 5/16 Inch has been engineered to provide you with unparalleled comfort, accuracy and ease.